Canada’s claim to fame is that it has the largest shopping mall in the world in the city of Edmonton. Wonder why? You would think somewhere like Dubai would have the biggest. I love Canadians and have many friends there. I find they are on the same wave length as NZ’ers and Australians. We tend to have the same sense of humour. Canada is the 2nd largest country in the world. I first went to Canada for the Calgary Stampede in June of 2008. At this time of the year as you can imagine the city fills up. The night show at the stampede was certainly worth the money and was more than I expected. Lucky for me my great aunty lives in Calgary and is a hive of information as to what’s on and where. I even made a visit to the zoo. Haven’t been to a zoo in years. In the centre of Calgary they have a free train which you can catch at one end and take to the other pararell to the main shopping street. Calaway Park is the largest amusement park in western Canada and is in Calgary. Other things to see and do are the Zoo, Calgary Tower, Chinese Cultural Centre, museum, art galleries and botanical gardens. Being a town of cowboys and rodeo many years ago the main reason people go to Calgary is for the stampede and the rest of the year it’s pretty quiet here with most backpackers only staying for two nights and moving on. It’s close to places like Banff and Lake Louise. Mountains for skiing and lakes for fishing. Canada reminds me of NZ but on a much bigger scale and a damn site colder in the winter. 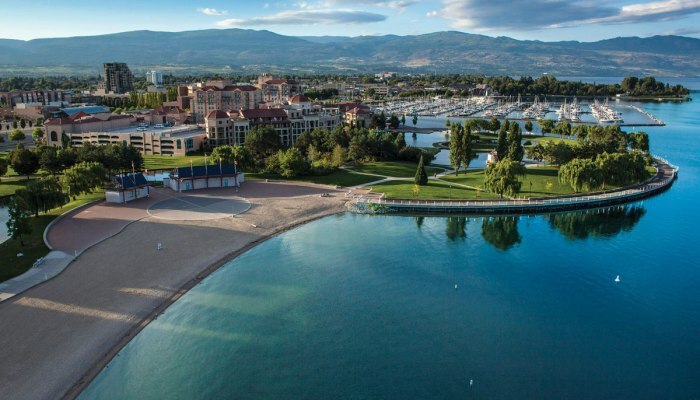 KELOWNA in British Columbia, is an 8hr bus ride from Calgary and where I went to next. It seems to be in the middle of nowhere but it’s a very picturesque city to see. It’s on the east side of Lake Okanagan and if you enjoy fishing, kayaking, sailing or windsurfing then this is the place to do it. And of course snow-skiing as it is surrounded by mountains. It has all the usual cafes, nightclubs, shops, boutiques, art galleries, museum and vineyards where you can go on a wine tasting tour. 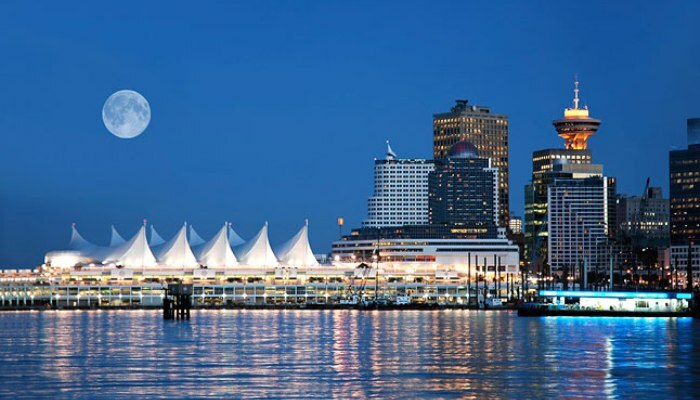 This is a big vacation spot for Canadians and no matter what time of the year it is there are events and festivals. The added bonus for me is that I have a friend that lives here. Kelowna is serviced by Air Canada Regional Airlines, Westjet and Horizon Air. They do non-stop flights to Vancouver, Calgary, Edmonton, Seattle and Victoria. I flew with Westjet and like them. They haven’t been going for many years yet but already have a good reputation and there fares are very reasonable even when I booked only 2days ahead. Vancouver. In 2008 when I was there they were already getting into full swing advertising the 2010 Winter Olympics. There is so much in this city to. Stanley Park, Robson Street, Granville Island Markets, Lookout Tower, Grouse Mountain, Chinese Gardens, Capilano Suspension Bridge and Vancouver Art Gallery. There’s adventure to be had at every turn. But what surprised me was the amount of people on drugs and the fact they don’t hide it. On the Saturday night there was a party in the street below my hostel which I didn’t know about until I went down at 3am in the morning as I couldn’t sleep. (The hostel was sound proof) The street was littered and the syringes left in the street was a bit shocking and the police keeping an eye on everything could do nothing but exactly that, keep an eye on everyone. This is where I was warned to keep an eye on my drink if out at a club. Spiking can be a problem. Whether this is correct or not I don’t know but no matter where you are in the world keep an eye on your drinks anyway. From Vancouver you can catch a ferry to Vancouver Island and Victoria. Victoria is located on an inner harbour at the south end of Vancouver Island. Whale-watching, the Buchart Gardens in all their glory and colour, an Astrophysical Observatory, Mount Douglas Park, other parks and lookouts where you can see Mount Baker in the state of Washington, USA. You get 360 degree views from Mount Tolmie. You are going to busy if you want to see all of Vancouver Island and spending a month here would be so easy and I still don’t think you would get to do everything this beautiful island has to offer. From Victoria you can also catch a ferry to Seattle. Haven’t done it myself but that has got to be a photographers dream as the scenery is just stunning and even in the summer the top of the mountains still have snow. Again I have a friend that was living in Victoria at the time of my visit and my Mum has friends there so I had the added advantage of local knowledge and getting driven around. And not to leave out 2 young gentlemen I have met on my travels – I know where Golden and Lethbridge are and I have stopped in both these places for lunch. Needless to say there are countless other places to visit in Canada but these are the only places I have been. I also went back to Calgary this year – 2009. I hitched a ride from Basin, Montana. 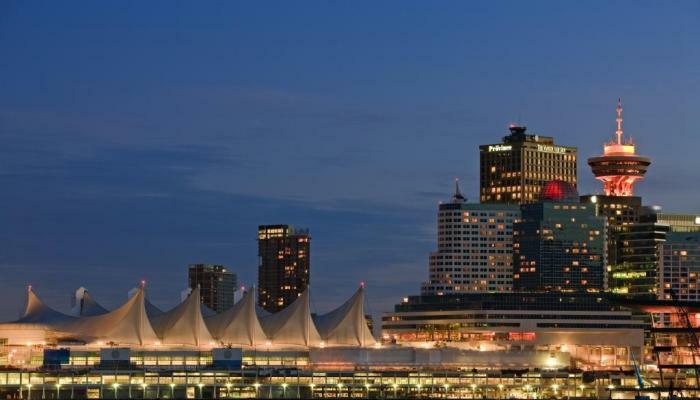 If you would like to add in tips and info on all other cities in Canada then please do. Your comments are welcome. I hope to be visiting friends in Toronto within the next year. In Victoria the temperature hit 20 degrees one day and they had the air-conditioning on in the restaurant. Take a jumper, I was freezing! They all thought they were going to die from heat exhaustion. When In Calgary you can go to the library and use the internet for free if you show your passport. You can also print off. The Greyhound buses are better here than in the US and run on time. They don’t have a ridiculous security policy either. If you are staying at the HI Hostel in Calgary take the free train uptown. Flying out then get a shuttle to pick you up. Same as when you fly in. Cheaper! Head to the nearest supermarket and get the real thing – maple syrup! If you haven’t tried it you are missing out. Beware in Montreal. People have had their credit card numbers stolen by ‘phony’ ATMs. Montreal has become a leading international area for identity theft of all kinds. Use the ATM in the lobby of well-known banks. Some people have lost up to $600 in 2 days before noticing the illegal withdrawals. Tipping is pretty much expected everywhere. Around 10%-15% of the bill. Victoria – catch a boat taxi and do a harbour tour that way. They are the funniest looking boats.